It had been about 4 weeks since I returned to work and I was completely overwhelmed. Between 2 kids, nursing, working, trying to fix our house, and simply staying alive, I was beat. On top of just trying to figure out how to be a working mom of two, I was also facing an up hill battle at work. Both my home life and my work life seemed completely daunting – where do I even start? How can I leave this cuteness??? Guilt and disappointment followed me on my way into work most mornings. Coming back to work after my first baby was a necessity, in more ways than strictly financial. I needed the human adult interaction and to use my brain again. I needed the challenge and I enjoyed showing the world that I could do it and be successful. But after my second was different. My first baby made me a mom, but my second baby helped me realize the small joys that come with babies, kids, and motherhood. All of this made returning to work really difficult. I felt guilty that I wasn’t at home raising my children. Shouldn’t they have their mom around all the time? Why am I paying someone else to raise my kids? Now, the saving grace of this situation is that we were able to move home where our parents live. My mother in law graciously agreed to watch the boys when both Bryan and I are working. I can’t explain the peace that I feel knowing that we get to leave our boys with family. I am so thankful, but I still feel guilty! 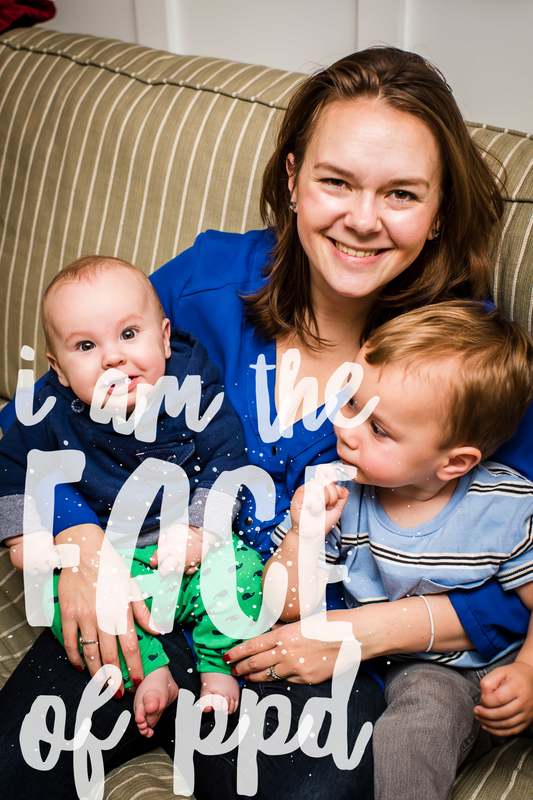 I never wanted to be a mom that depended on someone else to raise her kids (really, I am so fiercely independent that I hate admitting I need help or assistance with anything – but that’s for another blog post). So all these feelings were building and building. I felt guilty, ashamed, overwhelmed, exhausted, I was at the end of my rope. But then truth was spoken, “You are there for a purpose.” I believe that no matter where life takes you, God has a purpose. Every circumstance, every encounter, every stressful or challenging thing can be turned over to Him and is an opportunity to turn toward Him. This is the truth I want to tell you today, YOU ARE HERE FOR A PURPOSE. Whether you are a college student, a working mom, a stay at home mom, a single woman, or a widow, you are HERE for a purpose. And more specifically, you are in exactly the right spot to be used for a purpose. It may not be immediately visible to you and it might take some thought or reflection, but I know it is there. And more specifically, you are in exactly the right spot to be used for a purpose. Here is one more opportunity for me to turn toward God. Every morning I get to demonstrate His love and grace (however imperfectly) to a group of adults that otherwise I would have zero connection. I cannot tell you the number of conversations I have had in my office and I leave thinking, that was a total God thing. I also get to have the experience of being humbled almost daily, my pride checked, because I make mistakes and fall. Whether noticeable to others (and sometimes VERY noticeable) or in the silence, I am consistently reminded of God’s grace with me and therefore how much grace I need to have with others. Most notably, my 2-year-old who literally does not listen to 80% of what I say. So for this season of littles, babies, working, surviving, and figuring out what my purpose truly is, I will continue to turn toward God. He has a purpose for me, and I believe he has a purpose for you. How can you turn toward God today? What would that look like? Let me know in the comments! I have to admit that I have been putting this off for some time. I first heard about this endeavor in late 2016 and wanted to share and be part of this movement. But, figuring how and what to share has been difficult. I had another post written. I detailed those first few days and weeks after the birth of my first son and explained to all you beautiful, wonderful people how much I was going through. I expressed in my best words how it felt, why it was happening, and all the things that were working against me. If we are going to end the stigma, we must begin by ending the thought process that our feelings need to be justified or validated by others. I stopped because I was justifying my feelings. I was trying to justify the fact that I struggled for months with undiagnosed postpartum depression. I explained everything that was going on because I didn’t want you to think I am weak. I so want you to understand my deep struggle and the visceral heartache that still plagues me that I wrote a very meaningful piece that did nothing. I think it would have been fine, or even good, to share all of those things for the simple fact that I know other moms feel the exact same way right now [and dare I say that moms well beyond those newborn days feel the same? Moms of toddlers, elementary school kids, preteens, teens, and beyond? Moms who have lost children, moms who never got to meet their babies, moms who adopt, moms who perhaps never got to have children at all?]. My post was true and deep and meaningful and difficult, but I do not believe it was the right post for this cause. This cause is about ending the stigma of postpartum depression – PPD – and postpartum anxiety – PPA. If we are going to end the stigma, we must begin by ending the thought process that our feelings need to be justified or validated by others. It certainly feels good when we someone else understands the way we feel and why we feel it, but even if no one else ever understands the way you are feeling, you are still dealing with depression, and that’s okay. This is after we got to our recovery room. I had been awake for about 36 hours at this point and just had a C-section. I want you to know that it is okay to deal with depression even if you had a beautiful birth, just the way you wanted. It is okay to deal with depression even if you have a beautiful baby that you cherish, love, and adore. It is okay if you have depression even though breastfeeding went well for you. It is okay to have depression even if your baby sleeps through the night. It is okay to deal with depression whether you prayed for your child for years or you had no idea motherhood was before you. It is okay. There is no qualifying list, no one way depression manifests itself. In the midst of postpartum hormones and sleep deprivation, depression can seem like it will take care of itself if you can just sleep, just relax, just get away, just have one minute to yourself. And sometimes it does, but other times, in darker times, it sticks around. It follows you like a lurking shadow. No matter how bright the lights are, the shadow is still there, attached to your every move. The shadow is not nimble, it is cumbersome, it is exhausting. Your shadow is a physical weight that you carry on a daily basis, an emotional sink that you keep pouring into, but never fills up. The shadow clouds your judgement, you ability to think and concentrate, your patience and ability to deal with your ever-changing emotions. One of my favorite pictures, but one that I forced myself to take because I knew, someday, that I would want to see pictures of his little face. There are signs of PPD/PPA, certainly, and I had many of them. I felt disconnected and numb. I told myself I HAD to take pictures and I HAD to tell Vincent that I loved him everyday because I didn’t feel like doing either of those things. I wanted to get away from the baby, but as soon as I was away I dealt with anxiety that something terrible would happen while I was gone. I was irritable and impatient with the baby, but as soon as I felt myself snap I would melt into a big ball of tears. But the fact of the matter is, you can hide these things if you really want to. The shadow can continue to follow you if you let it, and many times, no one else realizes it’s there except for you. We must act. We must speak out. We must advocate for each other. And in order for women to seek the help they need, we must end the stigma. So what I want to share is this: it’s okay to not be okay. It’s okay to struggle. And it’s okay to ask for help, even if you don’t know what you need or what help looks like. If you start to ask for help you will find relief and reprieve, you will find healing. The road will not be easy, but it will be worth it. I would also add that as a culture, WE MUST SLOW DOWN. If you know a new mom, slow down enough to look her in the eye and say, “How are you doing, really?” And when she says, “Oh I’m fine, just tired,” look her in the eye again and repeat, “Really?” I fear that our culture has become so fast, so focused on posting the perfect Instagram picture, so busy, that we won’t slow down enough to see people who are hurting, struggling, and in need of a friend. New moms especially fit into the category. Your ENTIRE world was just changed and now you have the responsibility of raising a tiny human. The pressure, the loss of independence, the sleepless nights, the physical recovery that has to happen all while caring for a newborn is more than anyone has ever dealt with before and it is okay to not be okay. So, mama, I give you permission to struggle and need help. I want you to know that people see you and hear you. We know the heartache and we are here for you. We want you to feel free to share what is going on so that we can better help you. We are here, and we are here to stay. It’s okay to not be okay. that makes being half naked at work slightly easier. A friend recently asked me what she needs to bring to work to successfully pump. Just a pump and a bottle right? Oh, friend, if only it were that simple. Instead, I have compiled a bag full of stuff that makes the experience a little bit easier. Because, let’s be honest, it’s super uncomfortable to be half naked at work no matter how prepared you are. I will say that it has been easier the second time around. My milk lets down easier and I have learned to advocate for myself, so I make sure that I am regularly pumping every 2.5 to 3 hours. I also just stopped caring if my pumping makes people uncomfortable. I was very fortunate the first time around that my manager was a working mom who did the baby thing. She was extremely supportive and I was able to be open about what I needed. I am thankful for that because I now report to a male, who is still very supportive, but can’t relate. So, it would be easier to try and tip toe around what I am doing, but it’s not worth my time. My first piece of advice is just own it. Own what you are doing because it is an incredible gift to your child and it’s not worth your mental energy to try and figure out how to say “I need to pump” in a not awkward way. If it makes someone feel awkward, that’s their thing, they can deal. Do what you need to do to be comfortable (both physically comfortable and mentally/emotionally comfortable) with your pumping journey. What is actually in my bag? Here is a comprehensive list of items that has grown and changed with my year + of experience. Pump – Obviously. 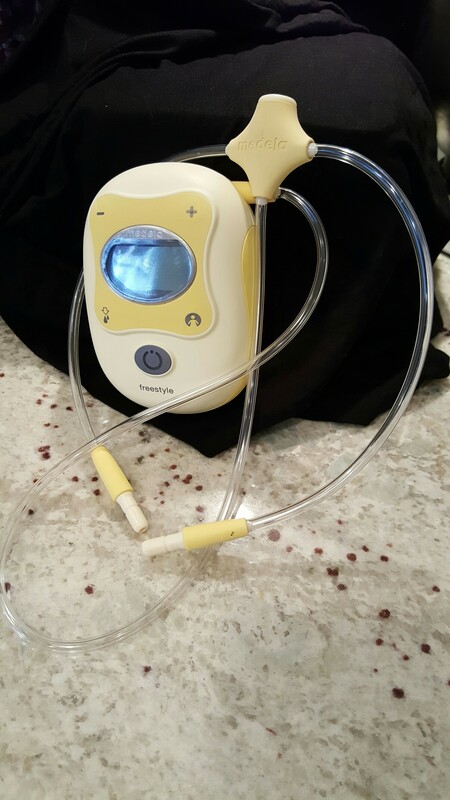 I have been using the Medela Freestyle Pump with babe #2 and I really like it. I love that I don’t need to be next to an outlet, tied to a wall. The rechargeable battery has great life and the suction is actually pretty impressive! It works well for me and I especially like it because it means I can pump in the car if needed. Pumping Bra – Let’s be honest, no one wants to spend more time than necessary stripped down to their skivvies in the office. 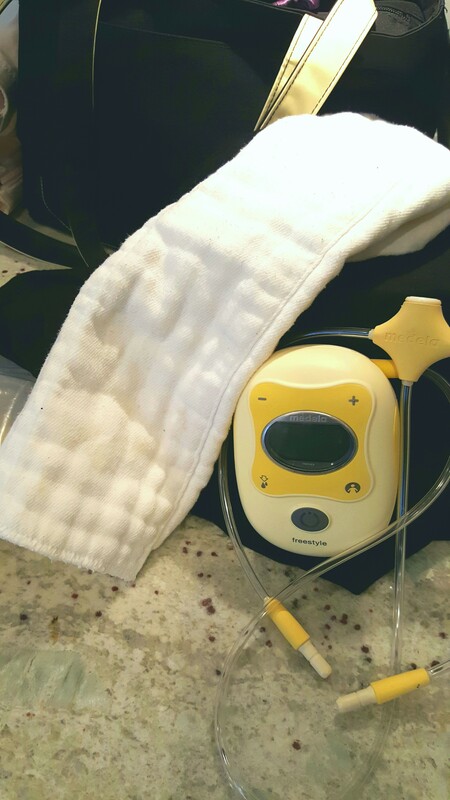 (Or, if you do, then you live a very different life than I) The pumping bra is essential for double pumping and wrapping up this whole weird ordeal. I bought this one off Amazon for about $30 and it has worked for both boys so far. I know you can also cut holes in a sports bra, but this just didn’t work for me. 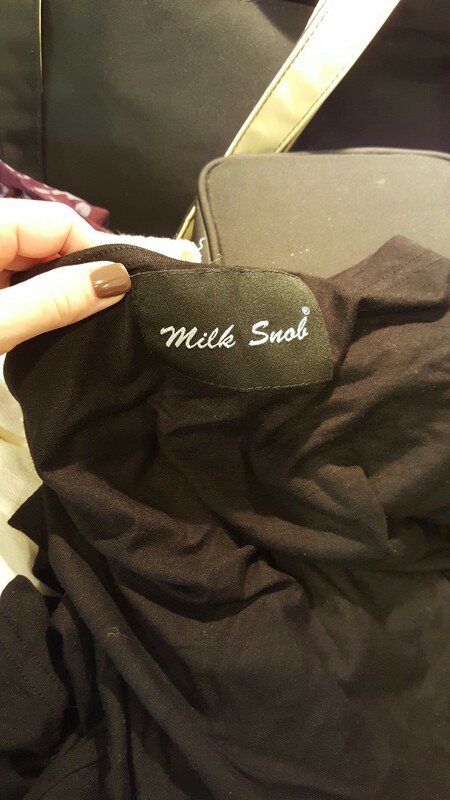 I prefer this bra, but either way, this needs to be in the bag. ALL YOUR PUMP PARTS, there is nothing more frustrating than forgetting one little pump part and your whole pump is useless. I always pack my pieces the night before so I am not trying to do it in a rush in the morning. I also keep a spare set of parts at the office at all times. I started doing this after I forgot my parts one day and was MISERABLE. They aren’t expensive, so do yourself a favor and just buy a second set to keep in your desk drawer. 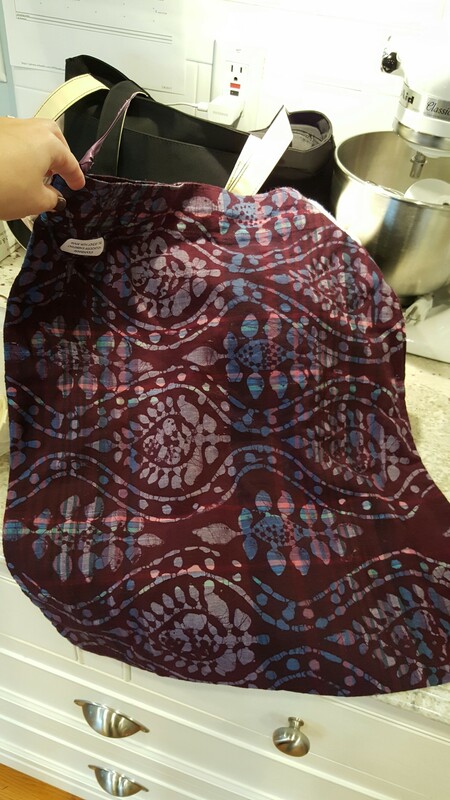 Burp Cloth – So it really stinks when you are all done, you are removing the breast shields, and you spill extra milk all over your dry-clean-only work pants. Instead, make sure you grab a burp rag and drape it over your lap while pumping. It comes in super useful when cleaning up before getting dressed and protecting clothes from tiny milk drops. Gallon sized zip lock bag – This is to stick all the pieces in between pumping sessions. It saves so much time rather than having to clean each piece 3+ times per day. Sometimes it only takes me 12 minutes to walk, set up, pump, and be done. That’s huge for your busy work day! Cloth bag to put the zip lock bag in – This isn’t essential, but it makes me feel better about the walk from the communal fridge back to my pumping room. It’s actually a bag I received when we were in the NICU and it has come in very handy! I just put the Ziplock inside and then throw that in the fridge and walk to my room with it. I like having a little privacy and I like that people aren’t staring at my pumping bottles when they are looking for a mid day snack. Cooler and Freezer Pack – I stick some food in this on my way to work and carry milk in it on the way home. I just keep the whole cooler in the fridge during the day. The ice pack then stays cool for my drive home. While it isn’t a huge deal during the winter months, I would hate for my car to break down in the summer and not be able to get the milk home in time. The freezer pack gives me an added sense of security that my milk isn’t going to get too warm before I am able to freeze it once I am home for the day. 2 bottles and milk bags – I always pump into bottles and then transfer into milk bags so I can freeze them. I think pumping into bottles is way less stressful than trying to pump directly into bags. I also keep a spare box of milk bags in my pumping bag at all times. As soon as I use one up I put a second box in. Again, there is nothing worse than pumping and realizing you don’t have anywhere to put the milk so you can pump again later. Then you have to go to the store and it’s a whole big thing. Just keep extras in your bag, your working mama self will be thankful. Pen or marker to record dates and ounces on your bags – this is especially important if you plan to freeze the milk you are pumping. You will want to keep it organized and it is really helpful to your care taker to know how much is in each bag. 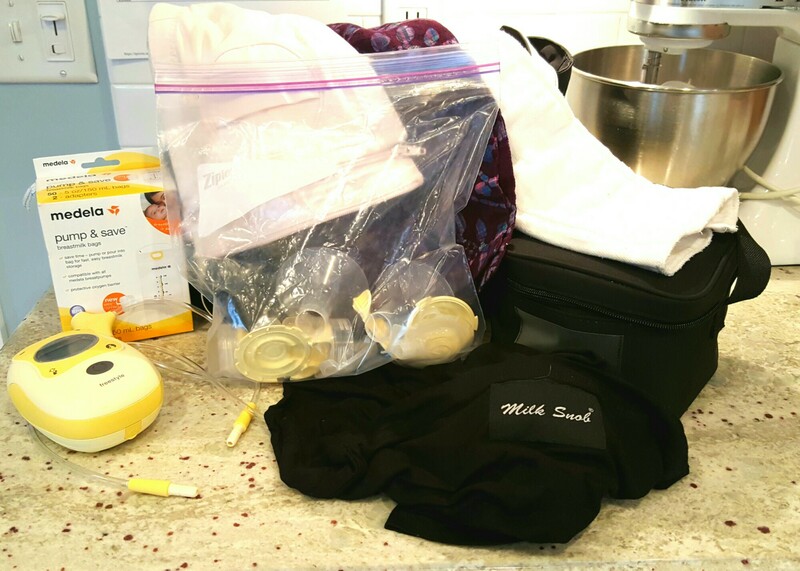 Nursing cover – this is another optional item, but I just stuck it in the bag in case I ever felt uncomfortable in the office or I needed to pump in the car. It’s just nice to know I have the security of the cover if I need it. I haven’t actually used it yet, but it’s my security blanket for pumping. This cover is from MilkSnob.com – I LOVE THEIR COVERS they are Jersey cotton so they are super light weight and soft. They completely cover you and baby can still breathe. I definitely recommend them! Something that smells like your little. I haven’t had a problem with let down this time, but grabbing your baby’s PJ’s from the night before (ya know, as long as there isn’t spit up or pee on them) can help your milk come in. A picture of your little can also help. Calming music or scenery. If you work a super stressful job or you have to operate on high octane all the time, allowing yourself to calm down is key. Having calm music playing or looking at calming pictures like waterfalls (and imagining your milk is like a waterfall) can help your milk come in. Having a mantra that you repeat to yourself. This helped a lot with my first. I had a really hard time relaxing enough for my milk to come in. I was also super anxious that I wouldn’t be able to pump enough to provide for his needs. Let me tell you, being anxious about not producing enough is a sure fire way to not produce enough milk. Instead, I started having really positive self talk about how wonderful it was that I was working this hard for him and that any amount of milk was important. Whenever I would start to relax and give myself grace, sure enough, my milk with let down. Snack and water. Often, I get going too fast to eat or drink. Pumping is a great opportunity to take a second for yourself and have a snack and drink lots of water. This will help you keep your energy up, allow you to continue to pump later in the day, and also allow you to feel like there is something in it for you instead of just doing all this for the baby. Wipes. Medela sells wipes for your pump for the between times when you can’t wash. It’s a good option for wiping up quickly during your work day. Sterilization bags. Medela makes these, too. You just stick all your pieces in the bag with water and then put it in the microwave. I can’t speak to the safety of these bags as far as the high heat goes, but again, it’s easy for the office. These are all the things that have helped me. 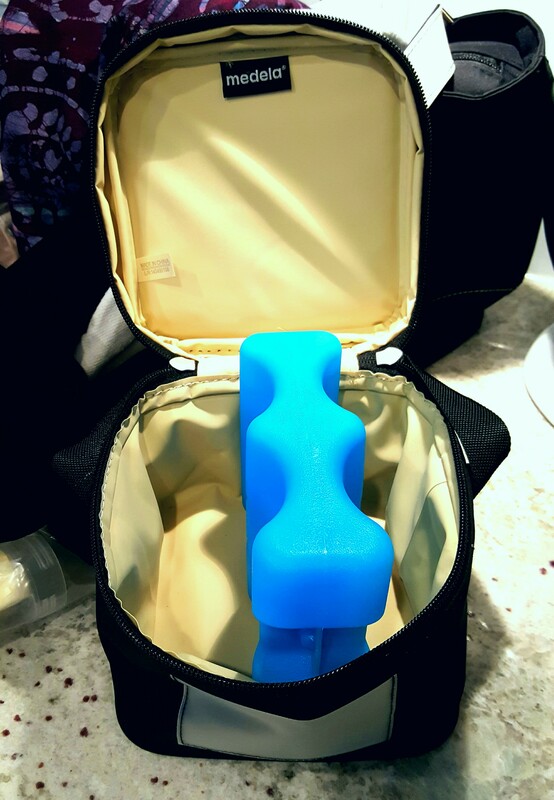 Mamas – what other items did you have in your pumping bag that helped you pump successfully? Mamas – why do we put ourselves through this? We are all trying to do our best! This self talk needs to change. We are doing the best and hardest work! We need to give ourselves a break. As moms, we have the weight of responsibility and it’s easy to let that stress take over and not enjoy the little moments of motherhood. I am so thankful that every day is a fresh start. If I don’t like the way something went yesterday, I can change it today. If I tried a new parenting technique and it doesn’t work for our family, I can try something different the next time around. It’s a learning process and we all have the same goals in mind: creating a healthy home environment for our families to thrive in. That looks different for different people, but I think we can all agree that we want the best for our kids. If we all have the same goal, we can focus on supporting each other and not worrying about what we are [ or aren’t ] doing. Need I say more? The substance that basically every mom starts her day. Get on Instagram and I feel like every mom blogger cites “coffee lover” “addicted to coffee” or some other caffeine reference in their bio. We meet for coffee, discuss our love of coffee, and survive because of coffee. I am no different, but about a month ago I was challenge to fast. Having already cut gluten, dairy, sugar, and processed foods out of my diet and being a nursing mom, there wasn’t much more I could fast from except….COFFEE. What?! How could I possibly survive without this magic potion that allows me to be a functioning human after only 3 hours of interrupted sleep? Yet, Jesus commands us to fast and I felt convicted, so my 21 day coffee fast began. The assumption is that fasting WILL take place (“When you fast…”). I hadn’t really considered this before and had zero experience fasting, so I found it interesting that Jesus assumes that his followers will participate in fasting. Don’t let others know you are fasting (“…do not look somber as the hypocrites do…”). I liked this because I wanted to be sure I was fasting for the right reasons and not for praise or attention. So, I was thankful to know that it could be kept between myself and a few key people. The text says, “…your Father, who sees what is done is secret, WILL reward you” (Emphasis added). I found this part very compelling and more incentive to try it. The teaching went on to talk about how we can utilize fasting to reset our relationship with God and seek his guidance in our lives. Simultaneous to this teaching, I was feeling extreme anxiety about our home search. Many of you know that we are STILL looking for a house. I really thought that we would be settled in our own home by now and every time we see a house that doesn’t work out I get so disappointed. My anxiety about the house hunt was coming to a head when I heard this sermon and I quickly realized that I was not giving our house hunt over to God. I was not trusting Him in the process or trusting His timing. All these realizations and points above lead me to desire a fast in order to seek God and reset my heart to be in tune with His direction in my life. So, Monday the fast began. I thought about having tea instead of coffee, but it didn’t feel right. 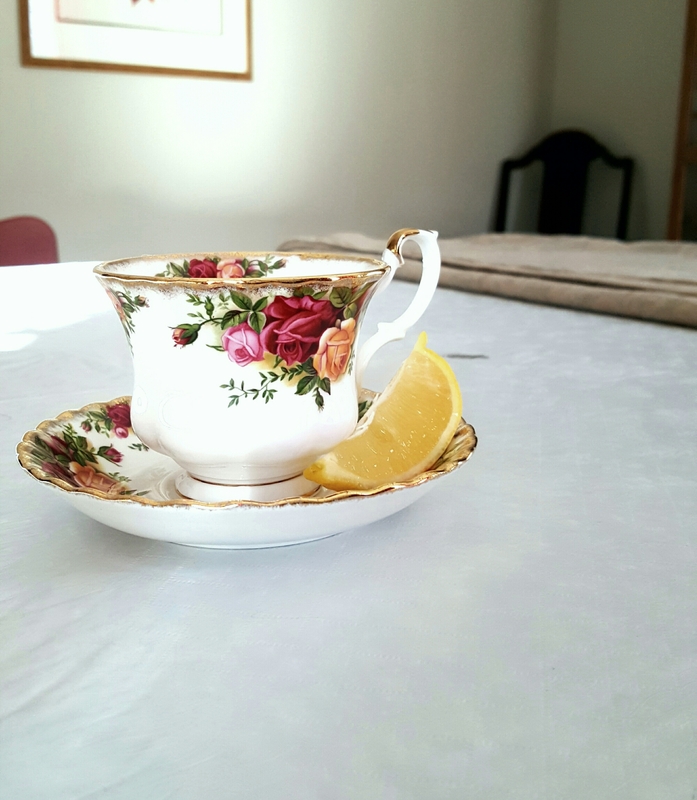 Having tea felt like I was only following the fast to the letter of the law and not giving up something I really ENJOY and challenging myself to rely on God instead of a hot beverage. I replaced coffee with a cup of hot lemon water. I know some people LOVE their hot lemon water. I am not one of these people. If I never have it again, that’s okay with me. I really missed my daily cup o’joe, and I was pretty cranky about losing it. I knew it would be hard, but I didn’t think it would be THAT hard. I quickly realized how often I was relying on coffee to get me through a tough morning or a sleepless night instead of coming to God and asking for His divine intervention. I had the opportunity every morning to tell God, I am choosing YOU over coffee right now. Folks, it was a rough time in our house. Teddy had to be rocked to sleep for every nap (which was 4 or 5 times per day at this point). Vincent was just being his toddler self, but it grated my nerves. Teddy also started waking up more throughout the night so I was tired. But you know what? God provided through it all. I had the opportunity every morning to tell God, I am choosing YOU over coffee right now. I was really surprised at the strong hold that my routine and coffee had on me. Every morning I was reminded that I was choosing God, but every morning it was a difficult choice. I really did not like how dependent I had become on a substance. Instead, I wanted to be that dependent on God. I love this quote from John Piper about fasting, “Ultimately we fast simply because we want God more than we want anything this world has to offer us.” I realized that I wanted God to be my center and my contentment more than I wanted coffee. I learned that God can provide everything I need, whether it be patience with my almost 2 year old or energy after a [very] sleepless night. I do not need earthly things like coffee, food, or chocolate in order to function, but I absolutely need the Lord. As for the reward, we still haven’t found a house, which was what I hoped God would provide after this time. But, I feel like my reward is greater than any possession or material object might be. My reward is a renewed relationship and connection to God. My reward is the knowledge that God can provide for all my needs and learning to trust Him in new ways. My reward is a fresh spirit and being filled with the Spirit. I have come to realize that these are greater gifts than anything I could ask or imagine. So, friends, I would encourage you to fast. There are many ways to do so! Whether it be from one meal a day or dessert or coffee. As long as you plan how you will focus your energy while you are fasting, I believe you will see growth and connection with God. Have any of you ever fasted? What did it look like? What did you learn? I am efficient. I strive to do things better and faster and have no patience for anything else. I am a rule follower. Give me guidelines and I will operate within them, strictly following each letter of the law. I am a high achiever. I believe I can always do better, achieve more, and succeed no matter the obstacle in front of me. I am very independent. If I see something that needs to be done, I do it; I handle it and take responsibility. These traits naturally lend to being REALLY good at Religion – the rule following especially. Religion, at its very basic level, is a set of rules and guidelines that one must follow in order to go to Heaven. If you follow these rules and do the right things you get to go up when you die. If you don’t, you go down. So, as a rule following, efficient, strive-to-do-your-best, independent person, Religion is my jam. The 10 Commandments? Yep, I can follow those. Trying to be the best person I can be all the time? I have been trying to do that since I can remember. Doing the right thing because God says I should? I strive to do that too. Tithe 10%? Okay, it’s in the Bible, I can follow that rule. I can see sin in others and I can tell you what the Bible says about it. On and on with the rules. I will try to achieve them all. I will do my best. I will…. I…. Did you notice how many times “I” came up? I am good at Religion, but I am struggling as a Christian. Why? Because ultimately, I am trying to earn God’s grace and acceptance. Instead of going to God first and seeking His will, His grace, and His mercy, I take control and try to make peace with God. That is Religion, when WE try to make peace with God. I naturally fall into the religion category. In fact, go ahead and call me a Pharisee. The Pharisees were the religious elite of Jesus’ day. They knew the Old Testament books and teachings inside and out. They knew every. single. thing. they should do and say. They could follow all the rules and they challenged Jesus often based on their understanding of the Old Testament. The Pharisees were supposed to be the example of God’s love and covenant with the Jewish people. They were to help Jewish people perform sacrifices and answer their questions so that everyone could be right with the Lord. However, they soon became a ruling class. A group of people so caught up in the rules and regulations of the law that they missed the whole point of the Scriptures and also missed the fact that Jesus is Messiah. Lately, I have seen myself fitting more into the Pharisee category than the Jesus category. I want to follow a set of rules. I want to clean myself up before I approach the throne. I want my works and my actions to bring me the peace that God offers. I judge others based on outward decisions. And then I feel like a complete failure when I am not enough and I can’t do enough to be where I want to be with Jesus. Jesus criticized the Pharisees often. In Matthew 23 verses 3 and 4, Jesus says this, “So practice and obey whatever they tell you, but don’t follow their example. For they don’t practice what they teach. 4 They crush people with unbearable religious demands and never lift a finger to ease the burden.” How often I do this to myself and others. Do I practice what I teach? Do I put into action the teachings of the Bible and the words of Christ? Sadly, I often do not. The truth is friends, I can NEVER do enough to feel at peace with God. The only way to be at peace with God is through relationship with Him. Changing my behavior will only work for so long before I burn out or make a major mistake. Truthfully. the only thing that can bring me the peace I so desire is communion with Jesus. But because of my innate gifts (which by the way God created in me, why couldn’t he have made this easier?) this is very difficult for me to do. Are you here, too? Maybe you have been trying to be good your whole life and just can’t measure up. Maybe you DO follow all the rules but STILL don’t have peace. Perhaps you are the good religious person, but find you lack grace for others and yourself. I think most of us have it backwards. Instead of us striving to be right with God, we should be surrendering to God and allowing His peace to wash over us. Instead of trying to do good works, we should be asking to be filled with the Holy Spirit so we can participate in the larger plan that God has. Instead of worrying about what to do and say, we should look to the example of Jesus and seek to honor him in our thoughts, words, and actions. Psalm 46:10 says, “Be still and know that I am God” (NIV) another translations says “Let go of your concerns! Then you will know that I am God” (GW). Yet another translation says “Cease your striving and know that I am God” (New American Standard). Ahh the breast pump, the best and worst thing to happen to breastfeeding moms. I am so thankful for my breast pump, it allows me to work and leave the baby and still provide the best nutrition. But also, it’s the worst. All the pieces, trying to get the pumping bra on right, adjusting the settings, realizing you forgot one pivotal piece at home…. it can definitely be a drag. Now, I am no breastfeeding expert or lactation consultant, but I have read a lot on the subject and made enough mistakes to know a thing or two. 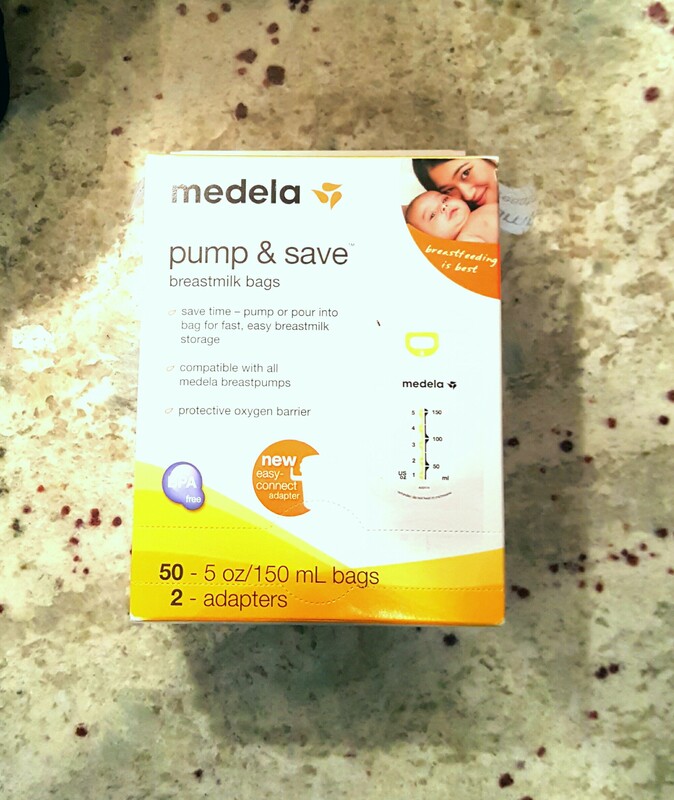 I want to share a few hacks with you to make pumping easier and hopefully, get you closer to your breastfeeding goal. Ladies, this is FOR REAL the best hack I have ever used. I read it in Parenting Magazine with my first, thankfully before I went back to work. 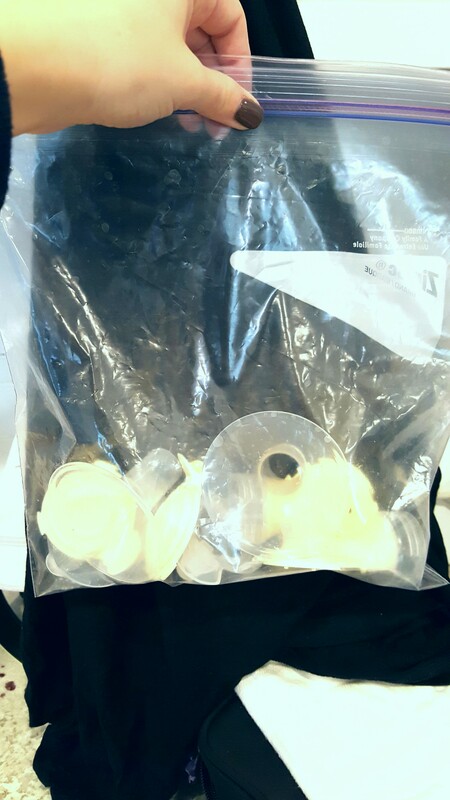 After you pump, simply put all the pieces in a sealed plastic bag and place in the fridge! According to the Mayo Clinic, expressed breast milk can be stored in the fridge for up to five days (it is optimal to freeze it within 3 days, you can read more here). So, I simply put all my pumping parts in a bag in the fridge and keep it in the back away from the door. I then clean it once per day instead of after every time I pump. Also, I don’t have time to clean all those pieces with an almost two year old running around so this is a necessity in life. You always have the most milk in the morning. I notice, too, that often my baby will only eat on one side at night so there always seems to be excess in the AM. Just start a routine of pumping about 45 minutes to one hour after your baby first eats in the morning. Usually, I feed baby first. Get him changed, make my coffee, get some water, let the dogs out, and then get set up to pump. As long as this is part of a normal routine and done daily you will build up a nice extra supply. I am so thankful for my back up supply. I know that I will have plenty when I go back to work, or if something terrible should happen, I know that I will have a month or so of milk before having to switch to formula. So I honestly don’t remember where or when I saw this, but when I did it was like the heavens opened. I was always so nervous about spilling milk all over the place! Especially at work because that’s just where something as terrible as spilled breast milk would happen. Simply put your breast shield into the freezer bag and then pour your milk through the shield. Seriously – life saver! Again, you guys probably figured this one out on your own….but I am not that bright. If you freeze your milk laying flat it is much easier to store upright and you can fit a lot more in your deep freeze. This also helps with organizing so that you can easily see dates and how much is in the bag without digging through the deep dark crevices of your freezer. Which brings me to my next hack…. One thing that I did not do well the first time around was organize my supply. I ended up throwing a lot away because I didn’t use it in time and that is JUST THE WORST. So do yourself a favor and organize your milk so it can be easily identified and used. My mom had the idea of using shoe boxes, but then we found that cutting our warehouse milk boxes in half was the perfect size for the freezer bags. So I just stick them all in there and then put them in the deep freeze, insta-organize! Taking deep breaths and just being thankful for any amount that I was able to pump is how I made it through those sessions at work – which, by the way , is the worst place to try to pump because you have the stress of the job, the stress of someone seeing something you don’t want them to see, the stress of not getting enough milk, etc, etc. Just remember, the important part is that you are trying and that you want to provide ANY amount of breast milk! These are some of the top things that have made pumping less painful and go more smoothly, what have other mamas done to help with pumping? What is your number one hack for continuing to breastfeed after going back to work? I'm not a terrible mother, it just looks that way.